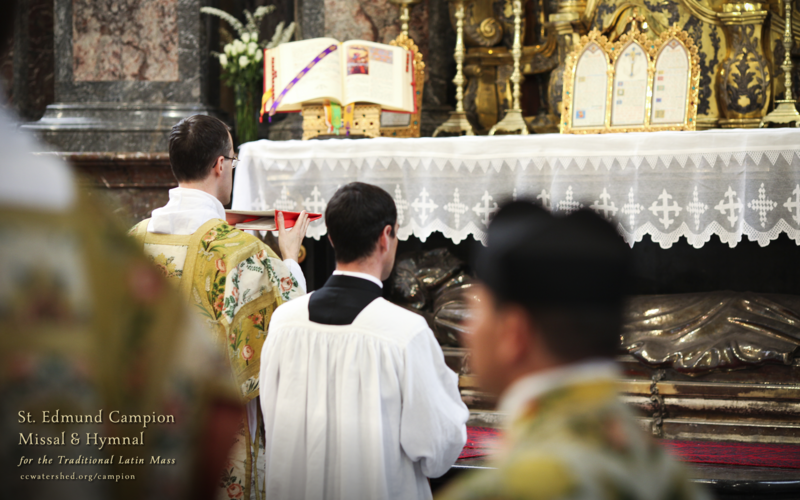 + Which efforts have resulted in a true restoration of the Church’s liturgy and sacred music? 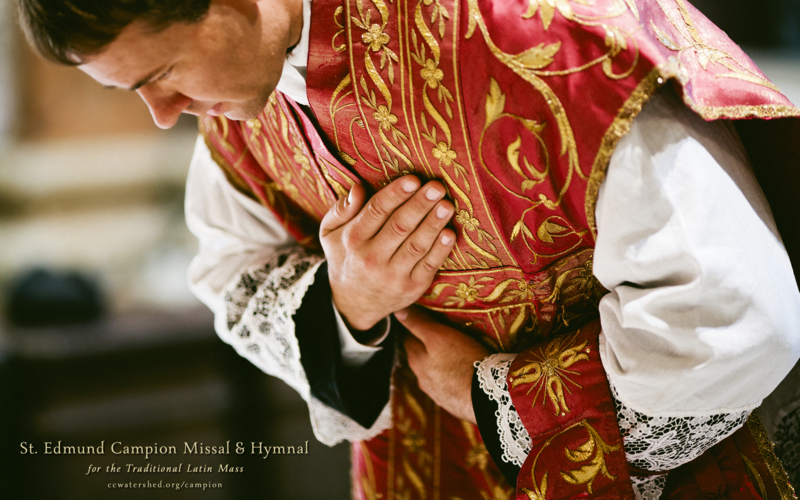 + Upon which principles has authentic liturgical and musical renewal operated in the past? + Which reform actions have had deleterious effects on sacred music and the liturgy? While the conference will focus on sacred music, other aspects of liturgy (theology, history, architecture, documents, etc.) will also be considered for inclusion in the proceedings. The conference will include solemn celebrations of vespers (featuring Mozart’s Vesperae Solennes de Confessore) and Missae Cantatae at the Cathedral of St. Paul and Church of St. Agnes, featuring an orchestral Mass, classical works for organ, and a modern polyphonic setting of the Mass ordinary. Dr. William Mahrt (Stanford) will deliver a keynote address, and other featured speakers include Fr. Guy Nichols (Blessed John Henry Newman Institute of Liturgical Music) and Jeffrey Tucker (The Wanderer and Sacred Music). The conference committee welcomes proposals for papers and recital programs related to the conference theme. The deadline for proposals is March 22, 2013. Notification of acceptance will be given by April 8, 2013. Proposals must be submitted via email to Jennifer Donelson at jd1120@nova.edu. 7. 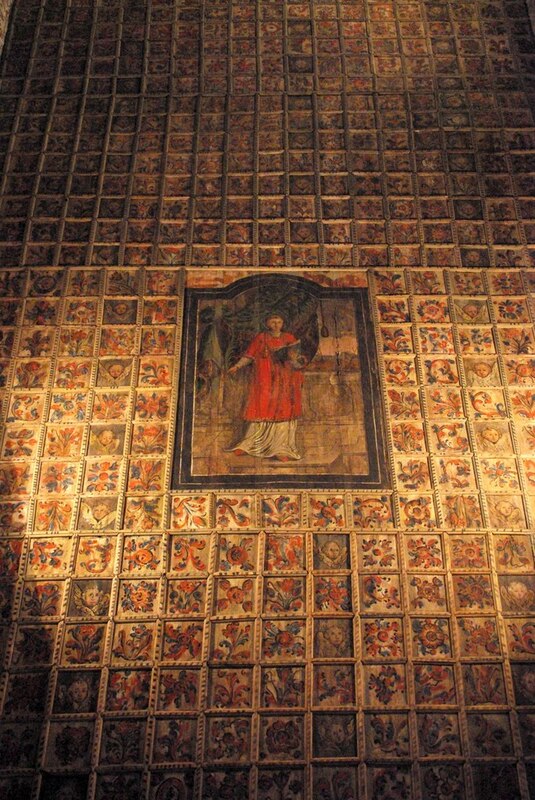 One or two recordings in mp3 format which demonstrate a recent performance. The selections need not be recordings of the pieces proposed for the conference recital program. File size limit: 10 MB. Papers will be 30 minutes in length followed by a five-minute period for questions. Recital programs may be either 25 or 50 minutes in length. Performances will take place at either the Cathedral of St. Paul, or at the Church of St. Agnes. If submitting a recital program for compositions other than those for organ, recitalists must provide all performing personnel (e.g. choir, string ensemble, etc. ), though assistance will be given by the conference organizers in contacting local orchestral musicians. The presenter is responsible for the costs of hiring such personnel, who would be remunerated at the scale of the Twin Cities Musicians Union. No piano or sound amplification will be available for the recitals, except for a microphone for the presenter speaking during the recital if requested. Requests for specific orchestral instruments which would otherwise be difficult to transport to the conference (timpani, chimes, etc.) may be made as part of the proposal process. The organ at the Cathedral of St. Paul is currently undergoing a restoration project which will be completed by the time of the conference. Details and specifications are available at www.cathedralsaintpaul.org/cathedral-organs. Presenters must register for the conference ($150) and will be responsible for their own expenses. The conference website is available at www.musicasacra.com/st-agnes; registration and hotel information will follow shortly. 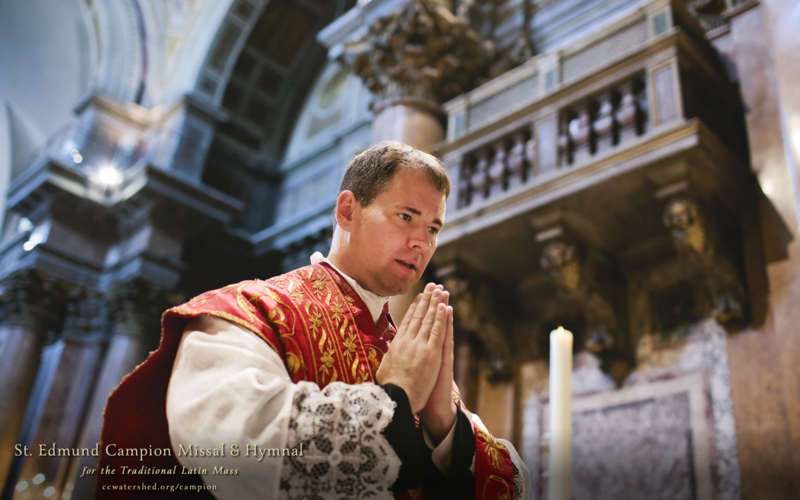 LAS (Libreria Ateneo Salesiano, the publishing house of Rome's Pontifical Salesian University) has recently published the first Latin-Italian hand missal since the liturgical reforms after the Second Vatican Council. 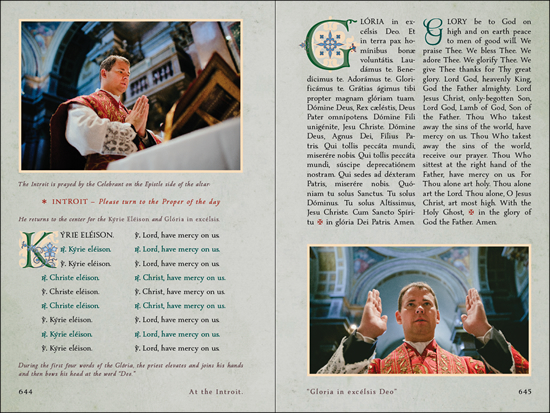 The missal comes in three parts, one volume for sundays and feast days, and two for weekdays, the first covering the time from the beginning of the liturgical year through June, and the second the other half of the liturgical year. 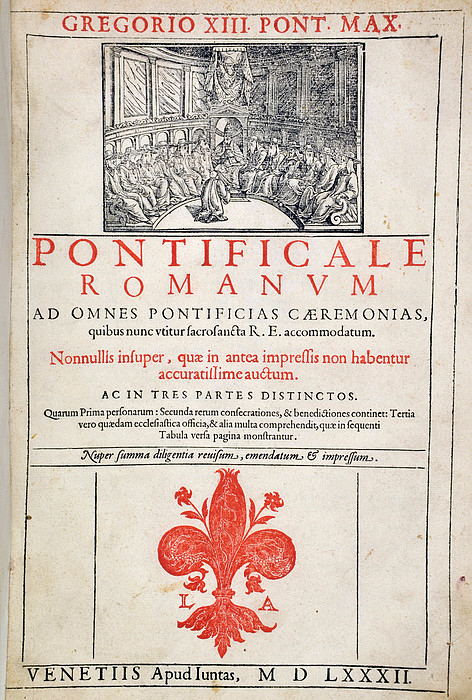 The text is arranged side-by-side, with the Latin text on the left page and the Italian text on the right. 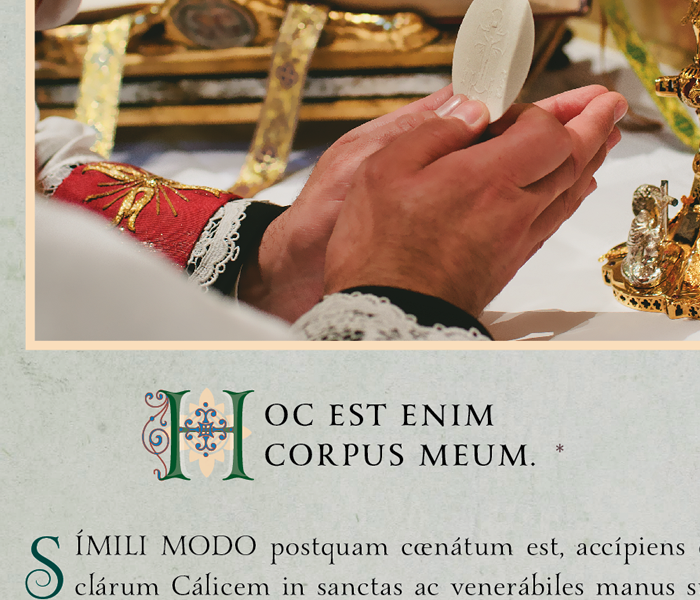 The Italian Service of Zenit reports on this and carries an interview with Fr Manlio Sodi SDB, president of the Pontificium Institutum Altioris Latinitatis which was responsible for the edition of the missal. 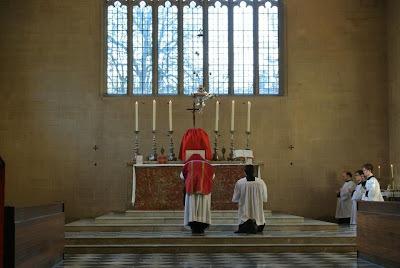 In the interview, Fr Sodi stresses, among other things, how urgently such a missal was waited for by many, and how important and useful it can be for everyone, but espcecially for those who prepare themselves for the sacred ministry. Thanks to Salvem a liturgia for the tip. I am pleased to be able to introduce our readers to a new series which we will be starting this Friday under the authorship of Gregory DiPippo. Those of you who have been reading NLM for a few years now will already be familiar with Gregory's series on the reforms around Holy Week, "Compendium of the 1955 Holy Week Revisions of Pius XII", as well as his series on the reforms made to the Roman Breviary, "Compendium of the Reforms of the Roman Breviary, 1568 - 1961" -- not to mention his many other pieces. Now we are pleased to be able to present a series which will study the reform made to the Pontificale Romanum: Compendium of the 1961 Revisions of the Pontificale Romanum. 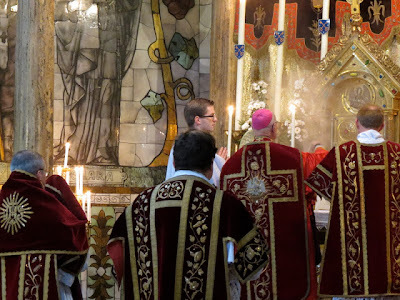 This series of articles will describe the changes made in 1961 to the second part of the Pontificale Romanum, the section which contains the rituals for the consecration of a church, and the blessings of the various parts and furnishings thereof. 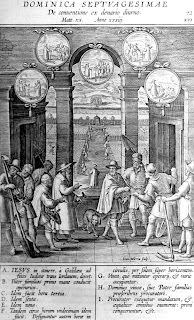 Each article will begin with a complete description of the ceremony as it appears in the 1598 Pontificale Romanum of Pope Clement VIII, followed by a description of the revised version of the ceremony promulgated by Pope John XXIII. 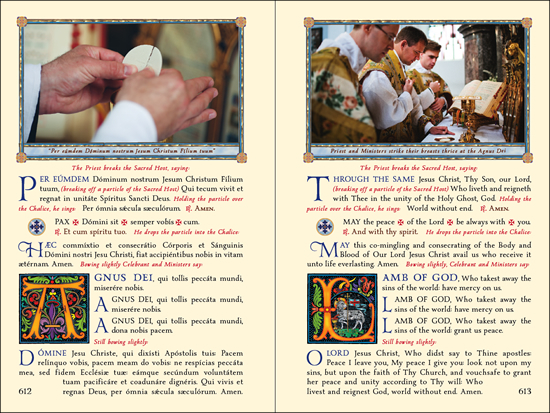 As with our NLM series on the 1955 Holy Week and the Breviary, several of these articles will be published in two parts; the extremely long ceremony for the consecration of a church will be divided into at least six parts. Mention will also be made of a series of blessings which were not revised, but simply suppressed. The series will begin on Friday with an introductory article, giving a brief outline of the history and content of the Pontificale, and a more complete explanation of the series as a whole. Fr. 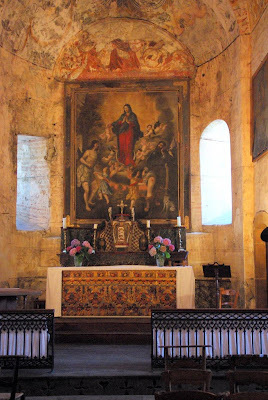 Martial Caron, S.J., on "Plainchant in Caughnawaga"
The following article was written by Fr. Martial Caron, S.J. and originally published in the June-September 1961 edition of Kateri (Volume 13, No. 3) -- a periodical whose purpose was to promote the cause of St. Kateri Tekakwitha. Given our interest in the fascinating subject of the Roman liturgy in the Native American missions, it only seemed natural to republish it here -- and we are very grateful for the kind permission of the editor of Kateri to do so, as well as to Claudio Salvucci who first brought the article to our attention. This was to be the first part of a longer article, though sadly it would appear Fr. Caron was never able to complete his piece -- at least so far as I can tell. 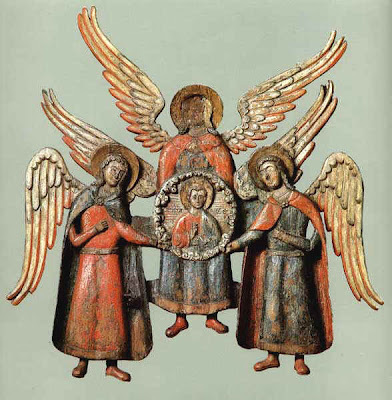 Finally, I should note that the image below did not accompany the original article, but rather appeared in another edition of Kateri. Originally published in: Kateri (Volume 13, No. 3) June-September 1961. Reprinted with permission. 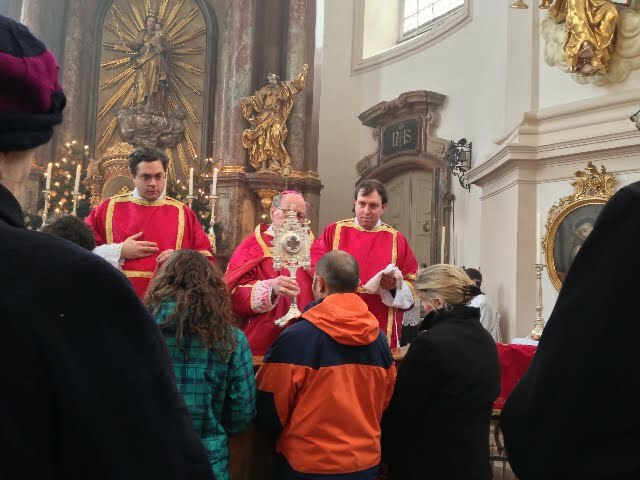 Through the initiative of a group of seminarians, Mass in the Extraordinary Form was celebrated in the Major Seminary of the Polish Salesians in the monastery of Ląd. The celebrant was Fr. Władysław Grochal SDB, a long-time member of the faculty. The seminary's website has a report with pictures on this which specifically states that this is a response to "the increasing requests of faithful for Holy Mass in the classical Roman rite". Thanks to Una Voce Córdoba for the tip. Readers of this blog may have already seen this story elsewhere, but as it was sent in to us, and as I think it is always important to support, promote and to encourage those who make "the move East" (i.e. 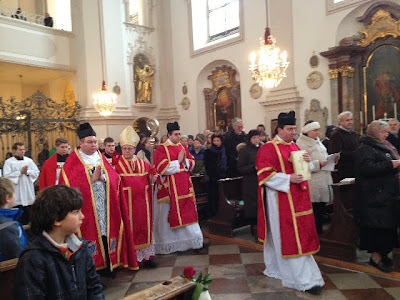 to ad orientem) I wanted to adopt the "better late than never" strategy and make mention of the story here as well. It’s official. 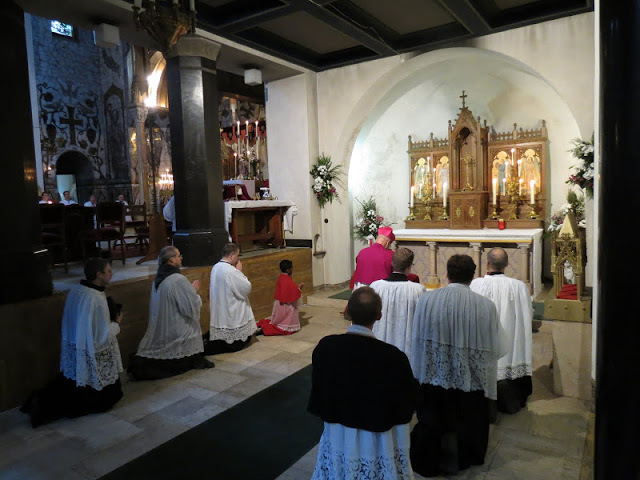 St. Mary of Pine Bluff became a parish that celebrates the Novus Ordo ad orientem at all of their Masses. 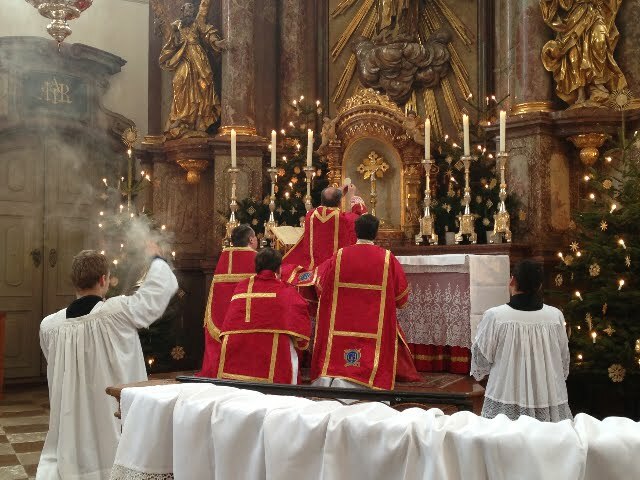 After a year of celebrating daily Masses ad orientem, we wondered when and if we would take the next step to celebrate all of our Masses this way – including weekend Masses. Then came the December 6, 2012 homily by our own Bishop Robert Morlino (listen here). 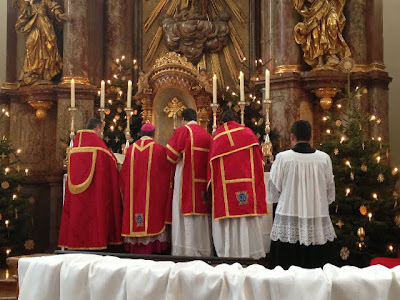 In his homily, our bishop was actually encouraging ad orientem worship. Of course this was all the incentive we needed – or, was it? We didn’t make a full commitment. 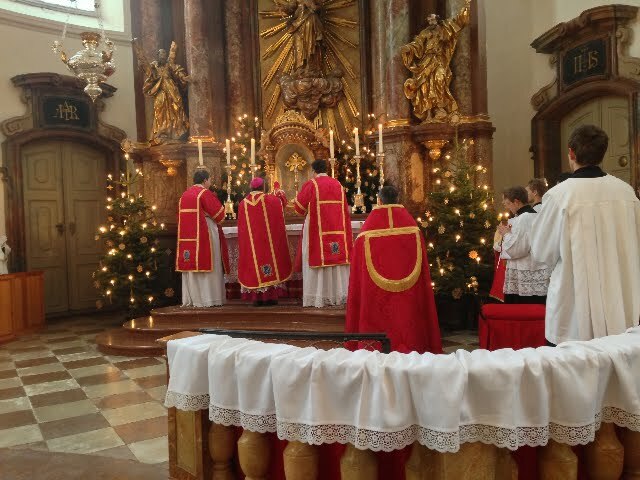 Instead, we DID celebrate weekend Masses ad orientem, beginning the very next weekend. However, we saw this as a kind of “test drive”, as we were willing to revert back to versus populum, if the pushback became too severe. Again, the response was overwhelmingly positive. We are now officially a parish that celebrates all of their Novus Ordo Masses ad orientem. Here are some photos from the Reception of Mr Alexander Robertson into the full communion of the Catholic Church in the Priory Church of the Holy Spirit (Blackfriars) in Oxford on Saturday. 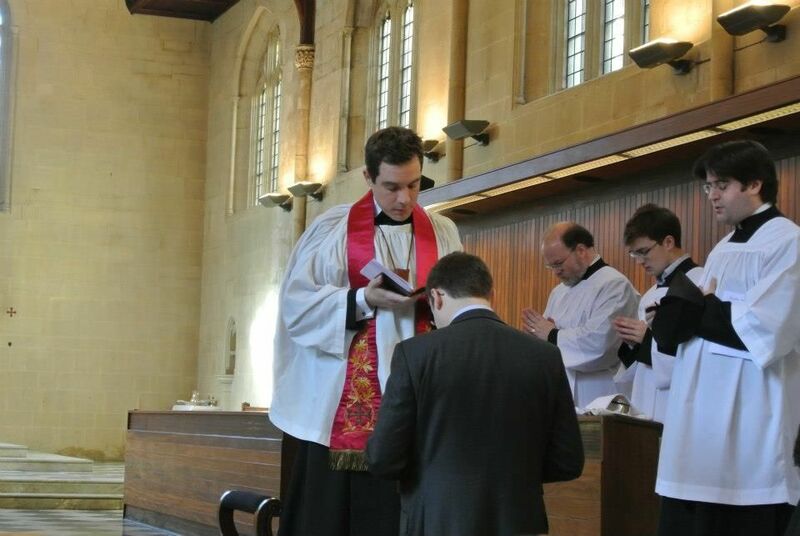 The rites and Mass were celebrated by Fr Nicholas Edmonds-Smith Cong. Orat., of the Oxford Oratory, and the Mass was that of S. Polycarp. The music was William Byrd's Mass for Five Voices with the Gregorian Propers. Within the usus antiquior this past Sunday we would have noted violet vestments, no Gloria and no Alleluia. 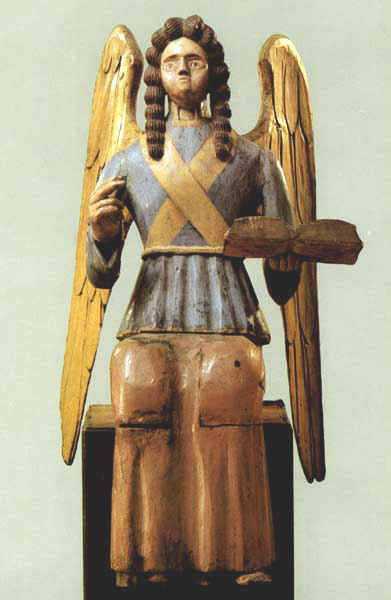 This is because, in accordance with the calendar of the usus antiquior, we have entered the pre-Lenten period, respectively referred to each successive Sunday by "Septuagesima" (seventieth), Sexagesima (sixtieth), and Quinquagesima (fiftieth) -- these numbers being symbolic, tied to the reference of "Quadragesima" (fortieth) which comes in reference to the forty days of Lent of course. 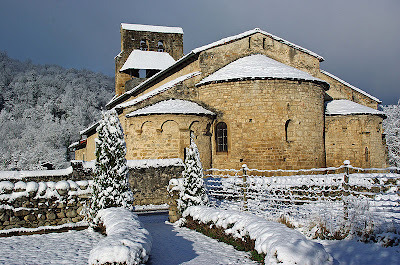 This period of liturgical time is probably that which shows forth the single most noticeable variance between the two Roman calendars because of their respective liturgical character and characteristics. For Catholics who have only or primarily known the modern form of the Roman calendar -- and perhaps even for some of those who worship within the context of the calendar of the usus antiquior -- it no doubt strikes one as a unique element of the older Roman calendar, and it may invite the questions, "what is it and why is it done?" 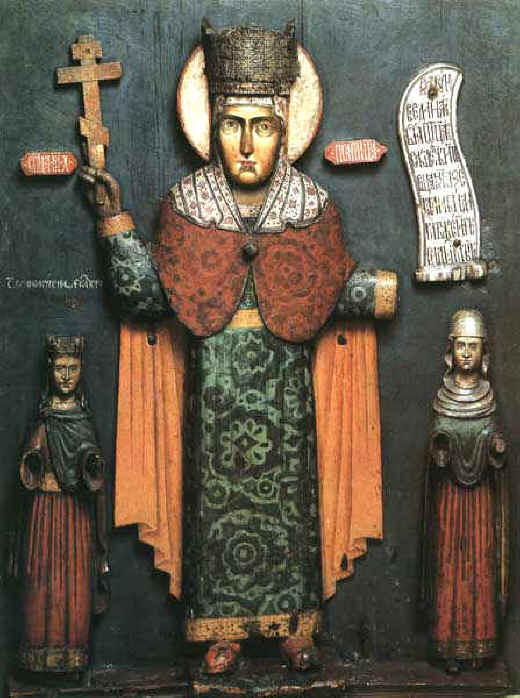 While it might seem unique to the older Roman calendar, it is worth noting that within the Byzantine liturgical calendar, they too celebrate a pre-Lenten period of similar duration. 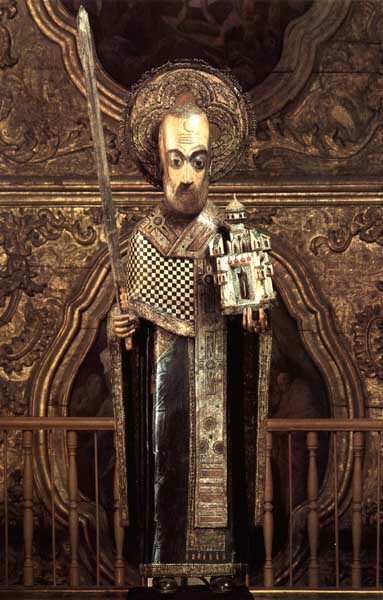 Accordingly, the pre-Lenten period is a point of unity between the usus antiquior and the Byzantine liturgy. Within the Byzantine liturgical calendar, their pre-Lent begins with the Sunday of the Publican and the Pharisee (which constitutes their "70th"), continues through the Sunday of the Prodigal Son, followed by what is popularly known as Meatfare Sunday (after which fasting from meat begins), and finally Cheesefare Sunday (after which fasting from dairy products is observed). Great Lent then begins. 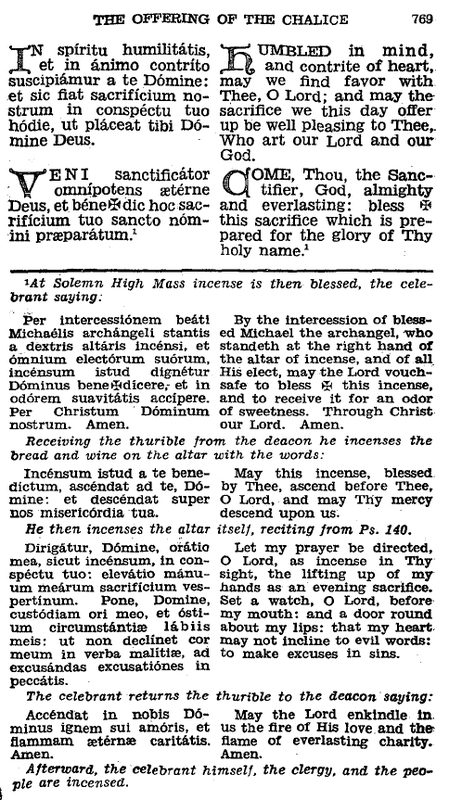 With regard to the origins of the pre-Lenten period, many liturgical writers attribute the beginnings of pre-Lent to the desire to accomplish the 40 days fast -- since there were non-fast days within the weeks of Lent proper which accordingly did not amount to 40 days of fasting. Through piety and devotion, this was extended further still. The specific time of origin is not agreed upon, but various dates surrounding the time of St. Gregory the Great in the 6th and 7th centuries are noted in various respects -- with the devotional extension of the fast being mentioned even earlier. According to Duchesne, the fourth Council of Orleans mentions Quinqagesima and Sexagesima around A.D. 541 -- albeit it by way of disapproval. 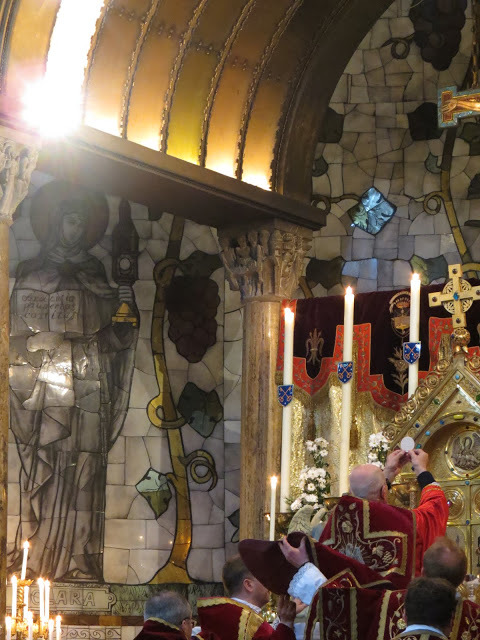 The purpose of pre-Lent seems to be the same in both the Byzantine East and more ancient form of the Roman rite; it is a period of progressive preparation and movement toward Lent and ultimately Easter. How do we see this manifest then? Within the Byzantine rite we see the progressive movement from non-fasting to the gradual tightening of the discipline beginning on Meatfare Sunday leading through until the Great Fast itself. 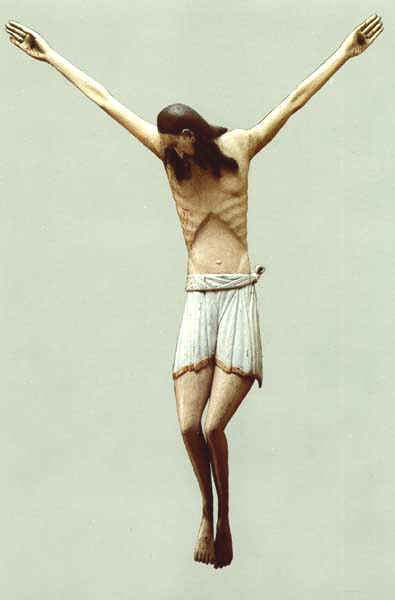 Within the Roman rite, we see the penitential character which the liturgical rites take on during pre-Lent, before finally proceeding into Lent itself with its fast -- though a note must be added at this point: since 1966, this has now taken the form of being an optional devotional fast as well, but for Ash Wednesday, Good Friday and all Fridays generally within Lent when fasting yet remains obligatory; see the 1966 Apostolic Constitution of Pope Paul VI, Paenitemini. It bears repeating that the Roman Rite has such a long and complicated (yet truly marvelous) history that writing about it in a succinct way is no easy task. One tries to make generalizations, since that is how we learn, but the temptation to mention various "exceptions to the rule" can be considerable. 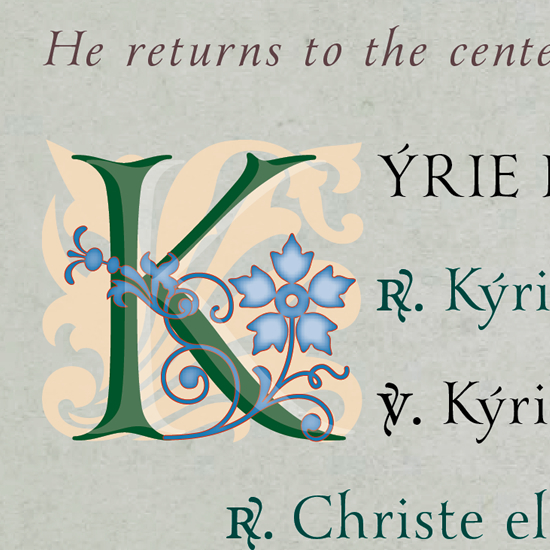 We speak of the "Mass in Latin," but we also know that the Kyrie Eleyson and Good Friday Trisagion are in Greek. We speak of the "Ordinary of the Mass," yet realize that the Credo and Gloria are often not said. We teach our students that the Agnus Dei has "miserere nobis" twice and "dona nobis pacem" the third time, but we also realize that in certain locations (e.g. the Lateran Basilica) "miserere nobis" is said thrice, and the prayer is totally altered in Masses for the dead. 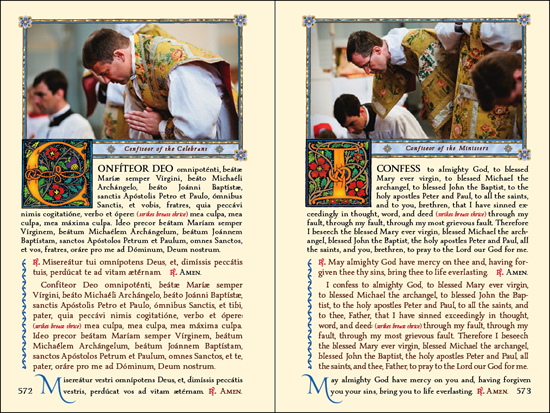 As one might imagine, this "complex nature" of the Roman Rite has repercussions for the creation process of an Extraordinary Form pew book, and these represent only a small percentage of the choices which must be decided by the editor of such a book. Toward the end of this article (the fifth in a series of six), entitled "The Solemn & Low Mass in Pictures," I will briefly enumerate a few of the "guiding principles" to which we attempted to adhere in our production process. To see how these spreads integrate with the special decorated letters by graphic artist James Ridley, please view Article 3. 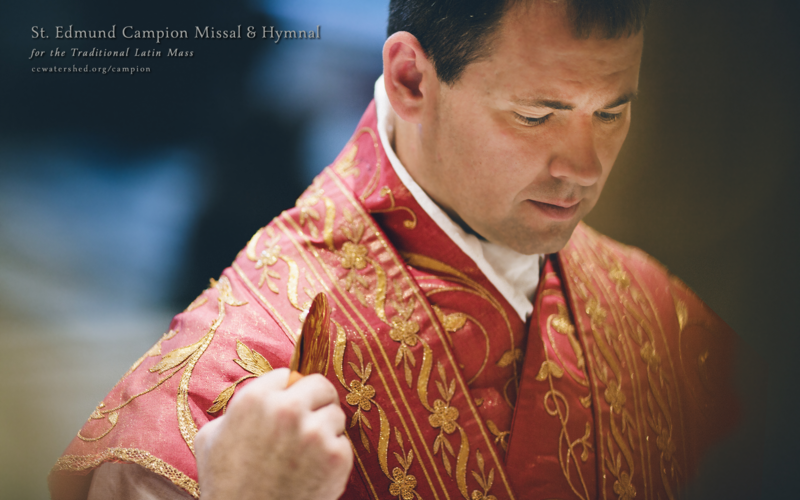 All the sacred vestments pictured in the Campion Missal were more than 200 years old. 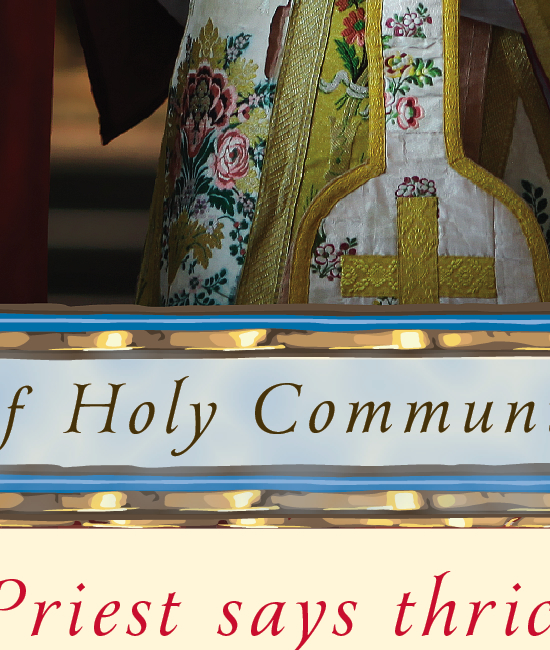 As you can see by this sample, the vestments come through clearly, and the artwork in our book is actually based on the designs and colors of the vestments. 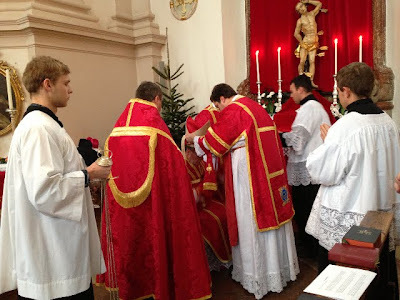 Readers might be interested to know that the Solemn Mass vestments at one time belonged to the Very Rev. Fr. Josef Bisig. To see how these pages integrate with the Gregorian Kyriale and Mass Propers, please view Article 2. To see how these pages integrate with ancient manuscripts of the Mass, please view Article 4. The Campion book has beautiful congregational hymns, treated in Article 1. 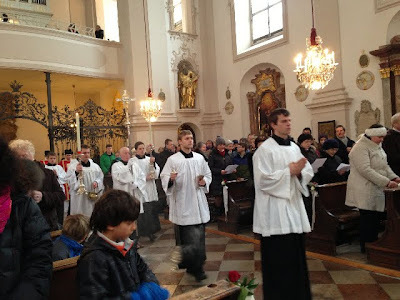 In certain places, vernacular hymns are used quite frequently at Low Mass. 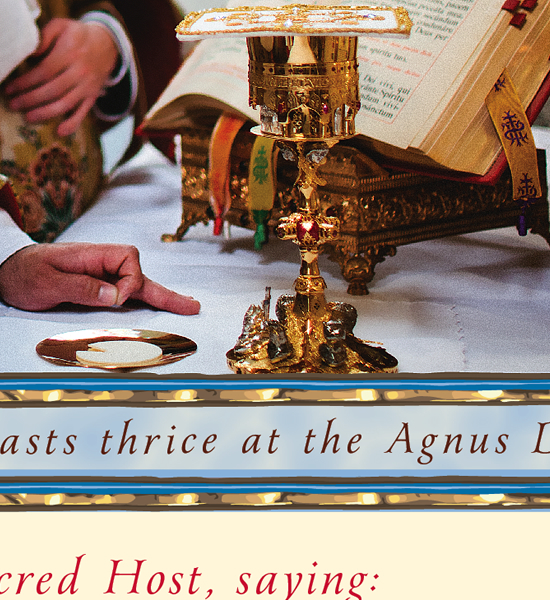 To get an example of the level of detail in the Low Mass, please click here [image]. We had three overriding objectives: 1.) 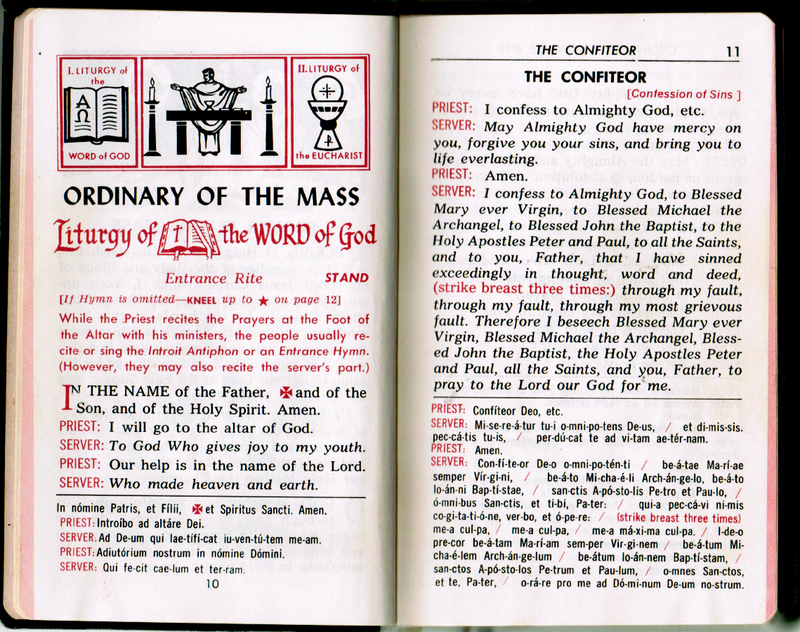 to "enshrine" the Mass prayers [careful typesetting and large print]; 2.) 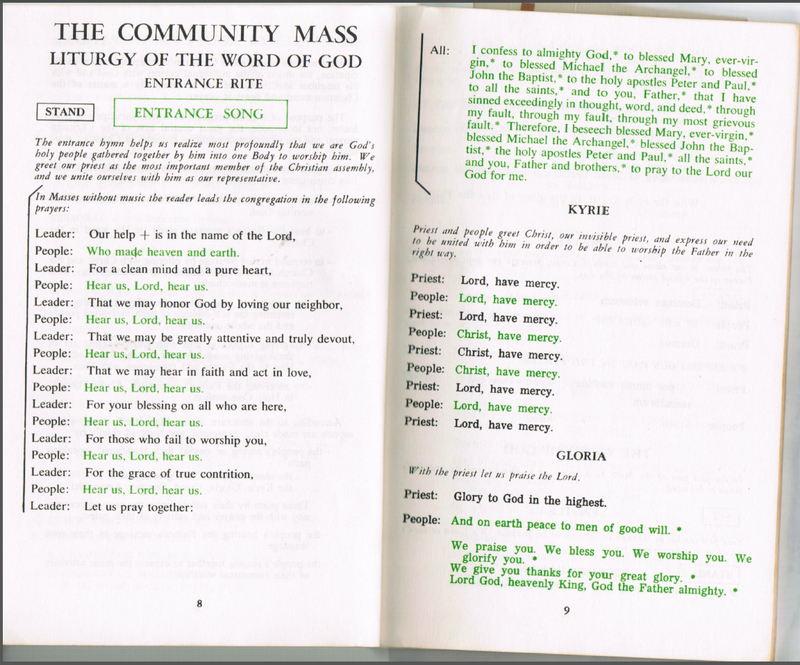 to make it as easy as possible to follow the Mass [by thoughtful use of illustrations, Drop Caps, color schemes, and so forth]; and 3.) to produce something beautiful for the Lord [something St. Edmund Campion would have encouraged]. We strove to keep the Mass Ordinaries as clean as possible. 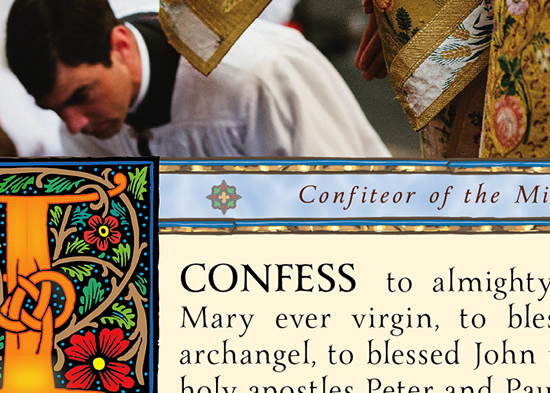 Several months were spent meticulously planning each spread, each "shot," each illustration, and making sure none of the prayers were "broken" (i.e. requiring a page turn). We used rather large fonts, for the sake of those with bad eye sight, while at the same time keeping page turns to a minimum, as too many page turns would be distracting. The paper we chose for the color section is a super high quality "matte stock" which avoids any "shine" (gloss) that would make reading difficult in poor lighting. 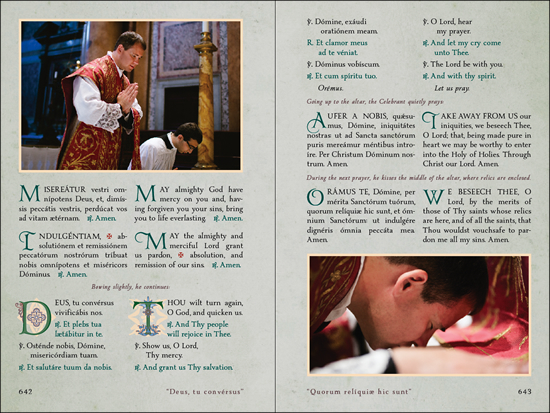 We invite those who purchase the Campion Missal & Hymnal to bring to our attention any suggestions for potential improvements, which can be implemented in future editions. In some way, it’s all a miracle. I can stand right here where I am and quickly sing a melody that is roughly the same as the first melody cooked up by an anonymous monk in the 7th century. That melody was committed to memory by others around that monk and then transmitted from place to place through constant repetition. It lived further through the generations, passed from old to young, and then again as the young became old and it was passed on again, cascading through time and place, and all long before anyone had thought up a way to write it down. 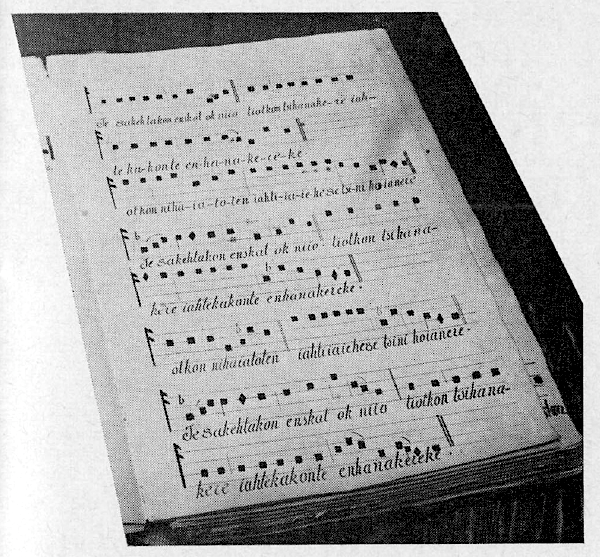 Then in the 11th century, the means became available to take this series of sounds and put them into paper form, so that the melody could be transmitted from place to place and from generation to generation even if it weren’t heard. The melody took on a new form, a form that made immortalization even more technologically possible. Then printing came and made the process even easier. For the first time, the entire body of work could be easily reproduced and distributed all over the world. Five hundred years went by until something even more spectacular happened. The chant took on a new digital form. Once the chant became digits, the limits of physical transmission were entirely overcome. The same chant, again without actually being heard, could be distribute billions and trillions of times unto infinity and never degrade with each passing use. One click to put the chant on digital networks and it enters into a new status of universal reach, capable of serving all of humanity so long as this world exists. But there was even one more stage in this long evolution. Digital media made it possible to transmit not just the physical music but also a real recording of monks singing the chant. Right now we can hear a version that was sung perhaps back in the 1950s. Every singer is probably dead by now but that one version they sang that one time way back then can be resurrected and live, as alive right now as it was when it was first sung. We can copy their vocal inflections and their careful interpretations and make them out own, and then turn around and make our own versions, which can be listened to by people 100 years from now. It’s like a time capsule that is never buried but continues to be added to even as it serves the living and the dead. And to think that it all began with one voice, one person singing one thing some 1,400 years ago. To enjoy such access is a unique privilege of our generation. 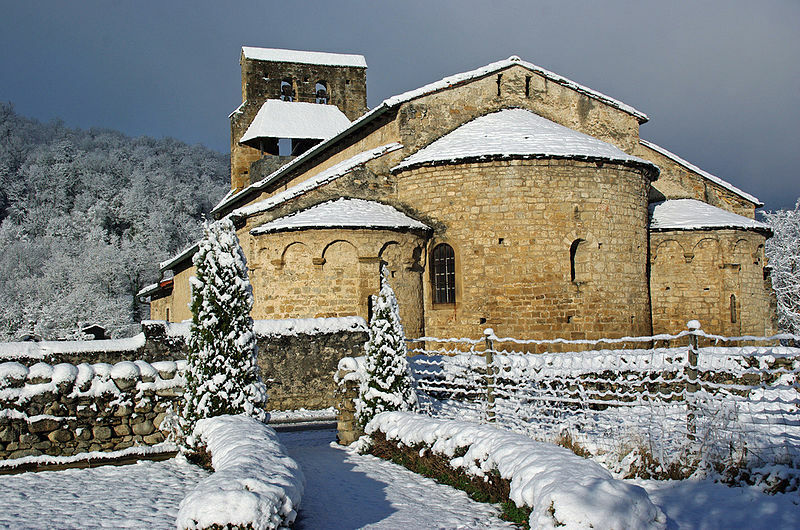 This is the music of the Roman Rite. 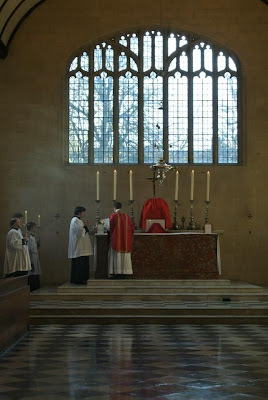 It came of age with the ritual itself as a means of making it more beautiful, more worthy, more compelling, more wonderful as a means of praising God in our public worship. Why are we attracted by making our own bodies instruments to make this happen in our time? Because in this music we find truth and meaning. This means transcends the lifespans of all all existing things. It is evidence of the capacity of truth to extend beyond one generation, any existing political arrangement, any existing business firm or man-made institution. It is a manifestation of the persistence of the faith in all times and places, its miraculous capacity for outliving every attempt to kill it. It is immutable. It is strong. It is mighty. It gives us a glimpse of eternal truth. Lately, I’ve been thinking more about this claim that the reason we are drawn to chant is that our deconstructionist age has made us fearful of change. The claim is that we cling to chant as an arbitrary source of stability. What is meant by this idea of deconstruction? The movement is a 20th century idea. It began with legal studies. The deconstructionists observed that the law does not necessary embed robust truth. It is essentially made up by self-interested politicians. It is the product of interest groups, designed to help them at other’s expense. The law was revealed to be a kind of hoax. The method of analytics spread to literature. What does a novel mean? The author might have one idea, but we can’t necessarily known what he or she intended. And maybe the author himself or herself was not fully aware aware of its meaning. In any case, we are the readers. We are the interpreters. Our own cultural conditioning heavily influences our own reading, and we cannot escape this. The dominant meaning for us is entirely subjective and it is pointless and fallacious to somehow insist that our subjective meaning be imposed on others. So it is with language. It is just words and words change. They serve an instrumental value of enabling communication between people. We use them as a way of groping through the dark, working together to find ways to cooperate with each other. The means of words extends from their use only and is never embedded in the words themselves. It is all arbitrary and changing, never fixed. In this way, language too evades any claim to permanent meaning. Meaning is dictated by culture and does not descend from on high. So too with the interpretation of philosophy, politics, art, theology -- really everything. Nothing really means anything in a fundamental sense. Everything is conditioned on society and on our subjective minds. This is why we cannot speak of truth with a capital letter but only what is true for me and what is true for you, and this is forever evolving. So goes the deconstructionist way of thinking. Let’s grant that this is entirely correct. None of what we once thought to be true really is. What is left for us to hang on to? What in our universe can be counted on to last and persist and actually embed something valuable in the ultimate sense. 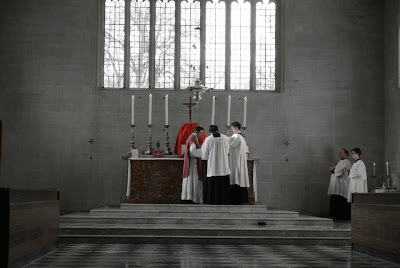 Liturgy is the great exception. It does not exist in time. It extends out of time into eternity. It touches a real outside of time and the material world. It points up and out of time. Through it we receive communication from God and find ourselves transported out of the limits of the physical and into communication to God to give praise. In sense this, and if this is true, the deconstructionist critique of the realm of time cannot touch it. We did not make up liturgy. 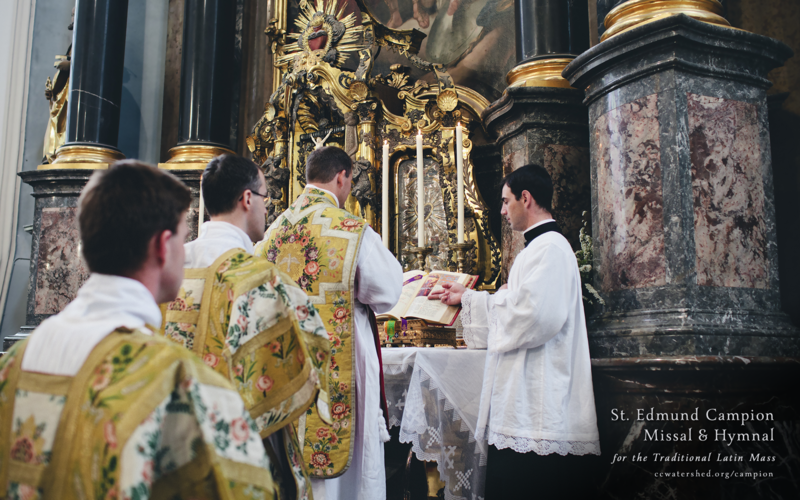 The liturgy is a gift from all eternity to us. No matter how much we might decided to accept the deconstructionist idea -- and maybe even the more we accept the idea -- the more impressive the liturgy truly is. 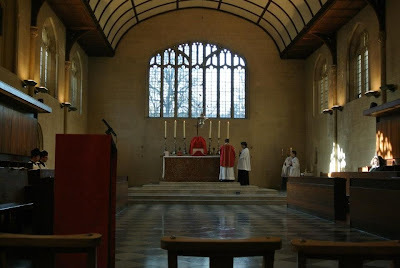 It is the great exception, a means that we have to access truth with a capital T. Within liturgy we are rescued from a world that is otherwise invented, manufactured, and arbitrary. This is one reason that the liturgical spirit that imagines ourselves to be making the liturgy rather than accepting it is so dangerous. 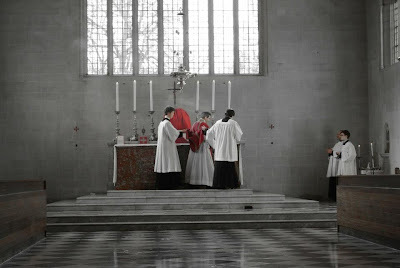 It threatens to reduce liturgy to the status of law, literature, language, and politics. It cannot be so! 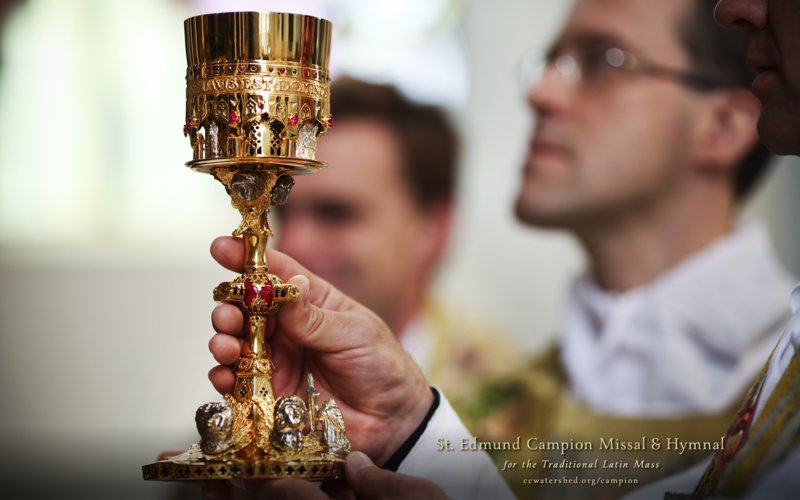 The liturgy is the one thing in our world that evades the imperfections of all the things we create ourselves. Now back to the chant. 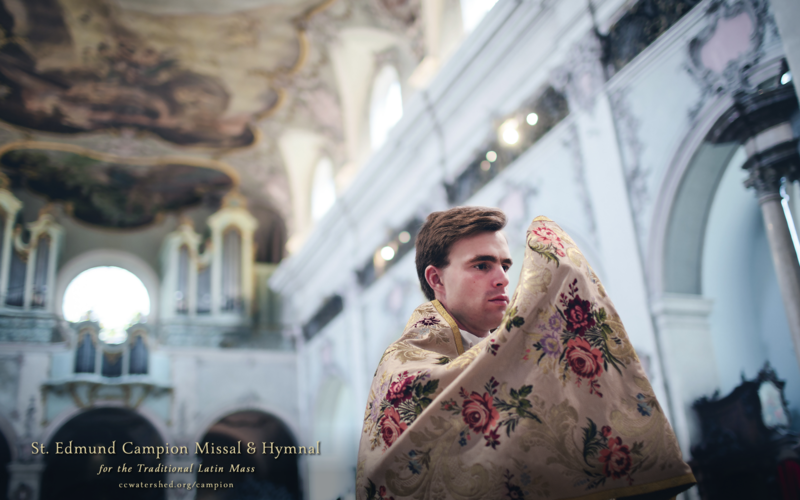 Here is the music of the liturgy, a thing transported through the ages by repeated singing, blessed by God to achieve immortality across all ages and places. It is the musical corollary to the liturgical text and integral to the liturgical action itself. We are not drawn to it out of fear but because we long for things that the permanently true, for sounds that are not arbitrary, for art that points to the Creator of all art. Yes, the chant was made at some point by one human person but a human person who worked to discover a musical sound of eternity. 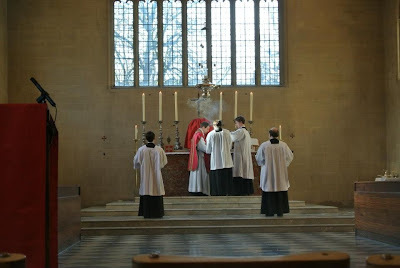 And when this happened, it became part of the liturgical experience and it took on a new form, blessed and blessed again by its use in the eternal project. We stand here a millenium and half later and sing it in the same way. It is our means of accessing the longest possible human experience in our insatiable desire to find and touch the truth of God. One simple song can do this when it is part of liturgy. It is not arbitrary. It is a rare and impenetrable well from which our generation can drink something pure and true in a time when everything else seems to be crumbling. This is a true act of love. To sing the chant is to find authenticity and purpose, to be part of something that is not only larger than our own time but larger than time itself. The literature on world religions is immense, no doubt, and countless apologetical works have been written to defend "the faith which was once for all delivered to the saints" (Jude 3). What sets The Fullness of Truth apart is that it combines those themes, providing a Christian and specifically Catholic apologetics within the study of other religions and other Christian traditions. It is therefore neither a systematic presentation of the Catholic Faith nor a disinterested survey of other world religions. Rather, seeking wisdom wherever she may be found, it identifies the elements of truth found outside the Catholic Church, outside Christianity and outside the biblical orbit (what the Church Fathers called the semina Verbi, the "seeds of the Word" liberally sown by the Holy Spirit) and demonstrates how those fragmentary and hazy truths, which are often mixed with grave error, receive their fullest dimensions in Catholicism. $10.00 USD / paperback / 208 pp. Available from the publisher and Amazon.com. I know some of our readership is interested in old archival video footage and here is some colour footage from Francein 1960, showing a Corpus Christi procession. 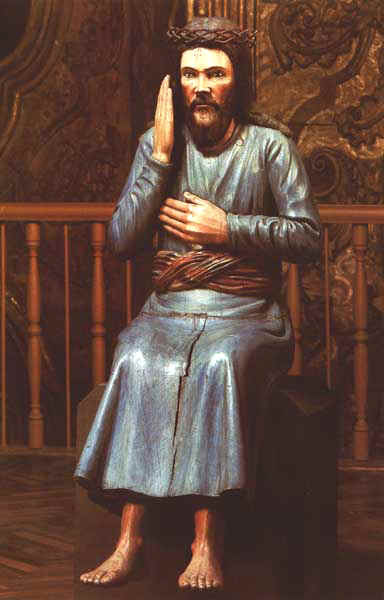 I recently posted an article about Russian statuettes of saints at the Museum of Russian Icons. I discussed how surprised I was to see statues in Russia. 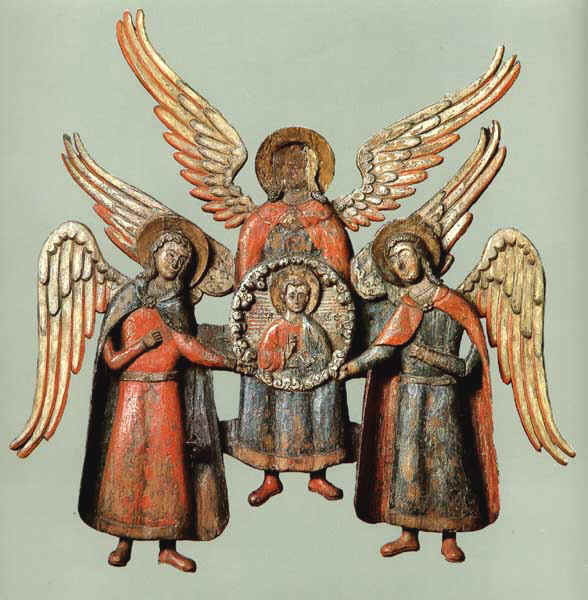 Generally the iconographic tradition doesn't allow for anything more than relief sculpture. In response to this a reader sent me information about a collection of much larger and more three-dimensional statues that is in the city of Perm in the Urals. I was fascinated by these and posted. They seem to date from 16th, 17th and 18th centuries and have the look of Western gothic imagery. The link through to the museum is here. Once again I can't really explain these and suspect that Russian iconographers of the strict observance would feel that these are not genuinely worthy of veneration. 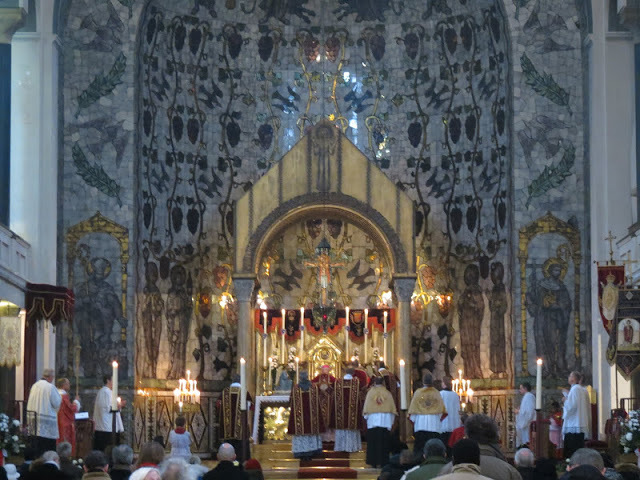 We have featured the lovely FSSP church of Sint-Agneskerk in Amsterdam many times before, including within our Other Modern series. 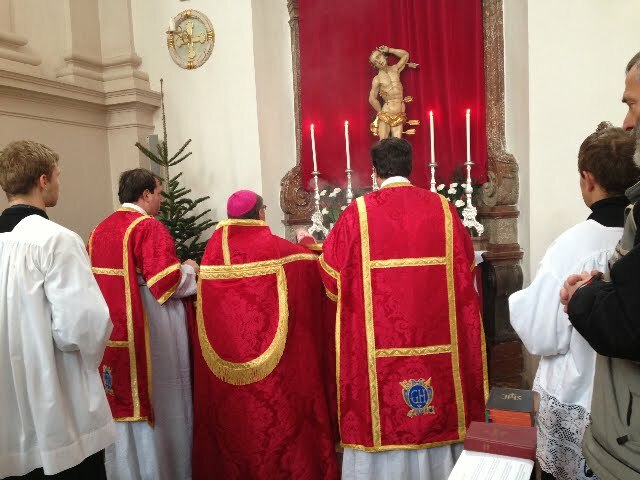 Recently a reader wrote in to let us know of a Solemn Pontifical Mass (they tell us it is the first such offered by a Dutch prelate) celebrated there on January 20th by Mgr. J.G.M. van Burgsteden. Confirmations were celebrated. 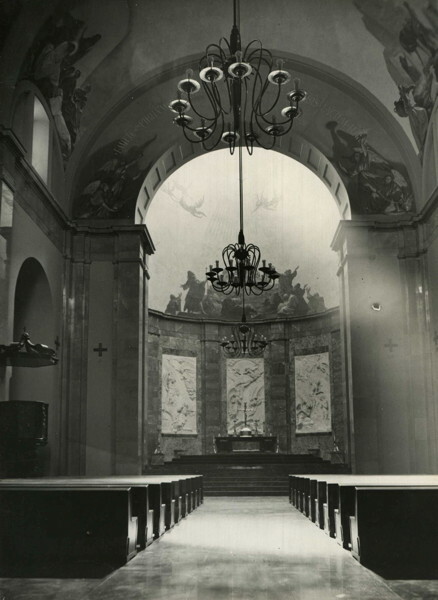 We are told that it was also announced by the bishop that Sint-Agneskerk was now established as a personal parish dedicated to the usus antiquior. In France this past January 21st, many holy Masses were offered for King Louis XVI, as it is the anniversary of his death. 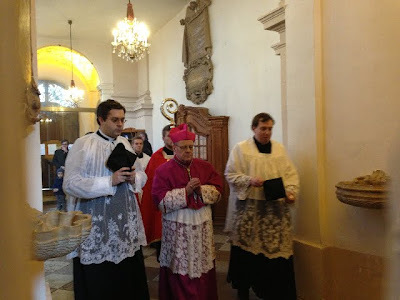 Here are some pictures from Saint-Eugene-Sainte-Cecile (Paris IX), where the old rite is celebrated daily. This year the choir sang the Requiem written by Cherubini in memory of Louis XVI which was commissioned by Louis XVIII in 1816. The black set of sacred vestments were offered to the parish by princes of Bourbon-Parme. Matt Alderman and I have often spoken here of "the Other Modern" -- a series and subject which has certainly been of interest to a number of our readers. While readers are familiar with this topic here on NLM, there are at least a few other bloggers out there writing about this subject as well. 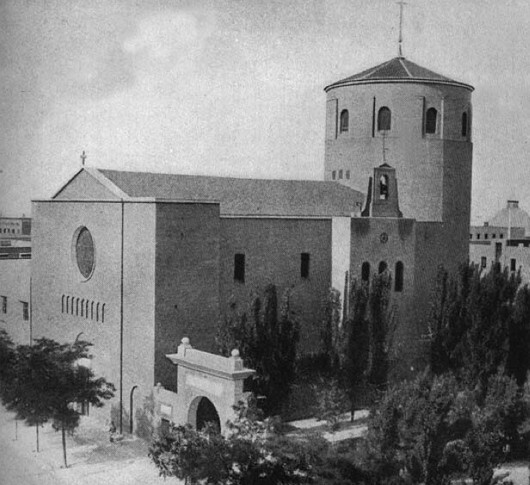 One such example is Andrew Cusack who has explored this subject over the years and most recently published another piece on this subject on his blog: The Other Modern in Madrid. Andrew provides more photos of the church, as well as some commentary. My own recommendation in this particular instance is that the use of the ciborium magnum would make a world of difference. At any rate, do head on over to Andrew Cusack's blog to read his piece.